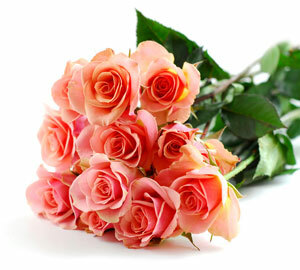 Have you heard others refer to Valentine’s Day as simply a “Hallmark holiday”? Have you bought into the idea that giving flowers to your loved one on that day is simply acquiescing to society’s consumerist expectations? You haven’t? Good! Because none of it is true! The celebration of Valentine’s Day began long before Joyce Hall—the founder of Hallmark Cards—created his first greeting card. In fact, the oldest-known valentine still in existence was a poem that Charles, the Duke of Orleans, wrote in 1415 to his wife while imprisoned in the Tower of London. And long before Charles put a passionate pen to paper, at the end of the 5th century, Pope Gelasius declared Feb. 14 to be St. Valentine’s Day. So forget all the naysayers who bash us starry-eyed philosophers as we wait breathlessly for the amorous day’s arrival. If you have even a sliver of a romantic bone in your body, you can support this holiday of love without an ounce of guilt. Once you’ve wrapped your arms around the day, however, what is the best way to celebrate it? Giving loved ones a card is obviously a lovely gesture—and lots of folks do that. (In fact, about 150 million Valentine’s Day cards are exchanged annually.) But wouldn’t you rather gift your sweetheart with something scientifically proven to enhance his or her life? A present that lifts the mood and encourages positive thoughts? No, not medicinal marijuana! We’re talking about the time-proven, sweetheart-swooning tradition of giving flowers. Yes, it’s actually true that researchers have studied the phenomenon of flower giving and discovered it creates a measurable physical reaction in recipients. According to behavioral research conducted at Rutgers, The State University of New Jersey, the presence of flowers triggers happy emotions, heightens feelings of life satisfaction and affects social behavior in a positive manner. “What’s most exciting about this study is that it challenges established scientific beliefs about how people can manage their day-to-day moods in a healthy and natural way,” said Jeannette Haviland-Jones, Ph.D., professor of psychology at Rutgers and lead researcher on the study. What’s more, the moment your loved one sets eyes on the colorful blossoms you bestow upon them, little chemical fireworks go off in their brains to create an immediate improvement in his or her happiness. Even better? 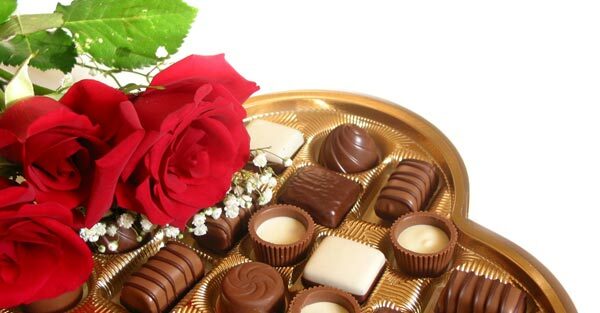 After all the chocolates are devoured and your loved one is wallowing in a sugar-induced coma, your gift of flowers continues to have a long-term positive effect on your sweetheart’s mood. So when you hear some cynic pooh-pooh the idea of giving flowers on Valentine’s Day, nip that naysayer’s negative analysis in the bud. Pull a posy from the bouquet intended for your honey, hand it over to that skeptic and watch his or her pessimistic attitude drop away like petals on a puff of air. PS: If you enjoyed this article, help spread the word by clicking the “Like”, “Tweet”, “+1” buttons or sharing it using the share icons below. Want to read more articles like this? Then Subscribe, and get our articles directly to your inbox or RSS reader. You are absolutely right, but I’m very happy Joyce Hall’s Hallmark promoted it. I have been in both the Flower and the Chocolate industries…and I think there is room for both and hope that Hallmark helps make it an even bigger holiday so we all succeed. Well said! Hallmark became successful because it is a company that helps people express their feelings when they don’t know how. And flowers are just an extension of that same effort. Men, in particular, have a difficult time letting their loved ones know that they care. And if they need a card, box of chocolates or a bouquet to send that message, then at least they HAVE that option to do so! So rather than pooh-pooh the holiday, everyone should be embracing it as one day in which it is easy to show he or she cares if that’s a hard emotion to share.